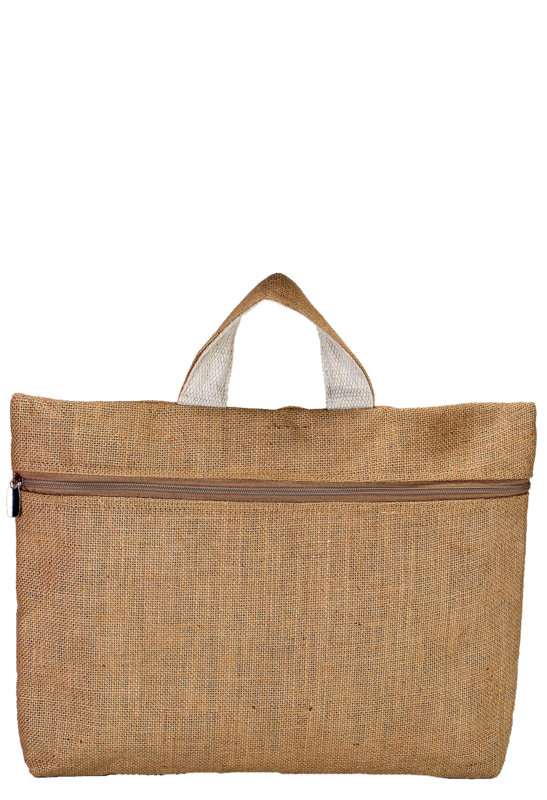 This Jute bag completely qualifies the corporate features as it serves a great space to keep your official belongings in this corporate bag. 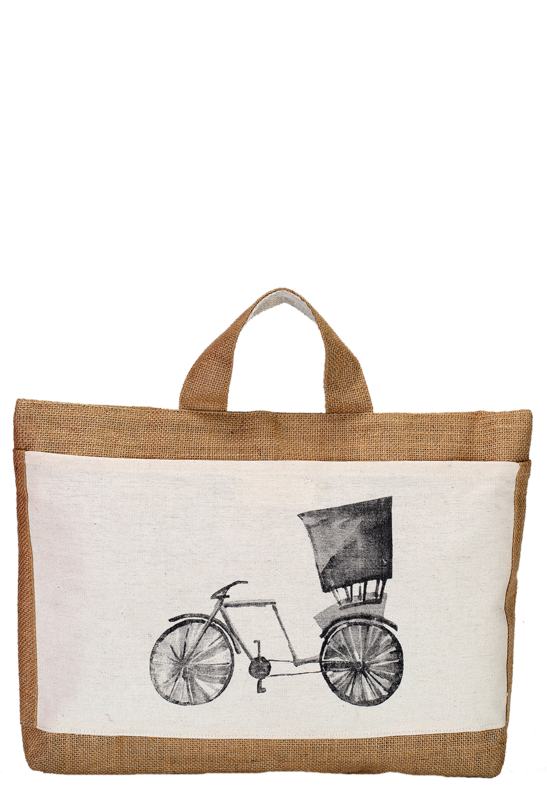 It has a beautiful graphical cycle printed on its body that makes it look more appealing. 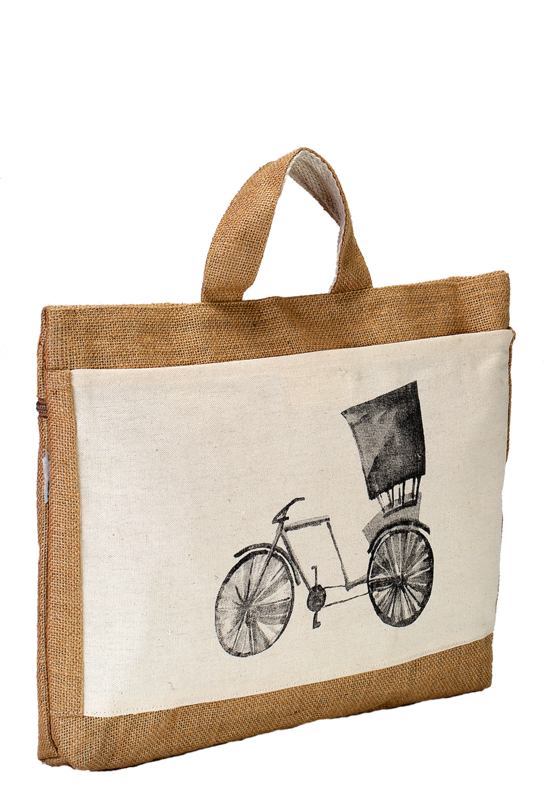 However, it is more spacious with 31 cm height, 42 cm width and 5 cm depth, and with the robust and hardy Jute handle, this bag is easy to carry and keep all your official documents safe and perfect.